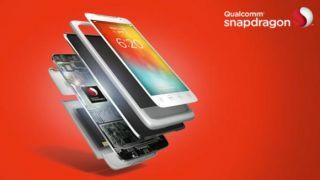 The rivalry between Snapdragon and Tegra chips isn't showing any signs of letting up, as Qualcomm used its MWC showing to claim the lead over Nvidia's Tegra 4. Qualcomm's Senior Vice President of Product Management, Raj Talluri, told The Verge that his company isn't overly concerned about competing against Nvidia's 72 core chip. Referring to the Tegra 4, Talluri said the latest Snapdragon 800 chips "beat it easily," due to it being "so much more integrated," much like the LTE modem built into the design. He also referred to the Snapdragon 800's ability to record and play back Ultra High Def 4K video, though the Tegra 4 also supports 4K. The Snapdragon 800 uses quad Krait 400 CPUs clocked up to 2.3GHz for high performance and low power consumption. Nvidia claims the Tegra 4 chip offers record-breaking performance with its 72-core architecture, though the firm hasn't disclosed exact clock speed. Perhaps a better comparison comes from the Nvidia Tegra 4i chip, which packs a 60-core design onto a chip half the size of Qualcomm's Snapdragon 800. Like the Snapdragon 800, the Tegra 4i is clocked at 2.3GHz and features an on-board LTE modem, which on paper reads more like an even matchup than the easy win Talluri implies. While looking at specs is one thing, it's real-world performance that matters most, and in that area Qualcomm seems to have the edge. The newly announced ZTE Grand Memo is one of more than 50 planned handsets to feature Qualcomm's Snapdragon 800 chip in the year's second quarter, while smartphones equipped with mid-range Snapdragon 600 chips will start to arrive even earlier. The first Tegra 4 smartphones are said to start showing up in Chinese retailers by July, with Tegra 4i-equipped devices coming much later in the year. Perhaps timing is the real reason Qualcomm is less concerned with the competition, though we will have to see if the chip maker is singing a different tune once Tegra 4 starts rolling.